With the annual Rose Festival in full swing, natives and newcomers alike may be asking themselves how Portland got its famous moniker. 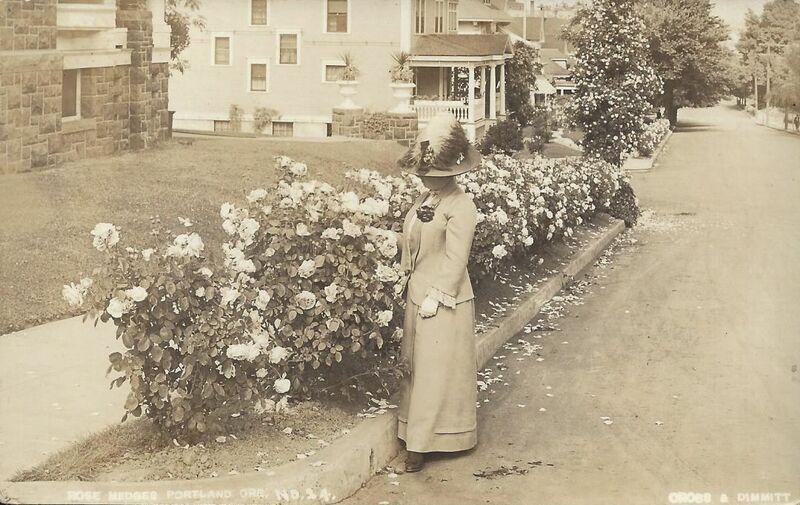 Now, you can learn how Portland went from Stumptown to the Rose City in the Oregon Historical Society exhibit Madame Caroline Testout: The Rose that Made Portland Famous. The exhibit is on view through June 17, and admission is free on Saturday, June 9 in honor of the Grand Floral Parade. 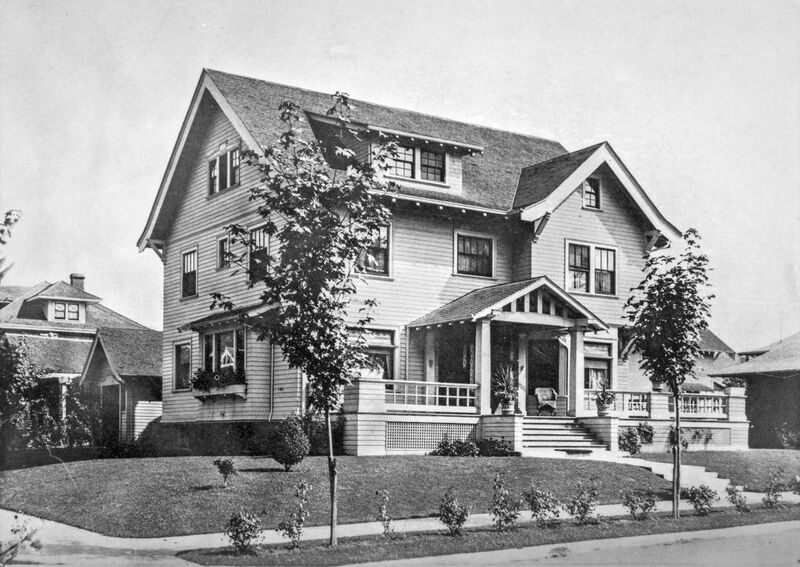 The rose-lined streets of Portland astonished visitors when they arrived in 1905. Rose mania was well underway as nearly 1.6 million paying visitors passed through the gates to the 400-acre fairgrounds on the northwest edge of the town that was now being recognized as the Rose City. 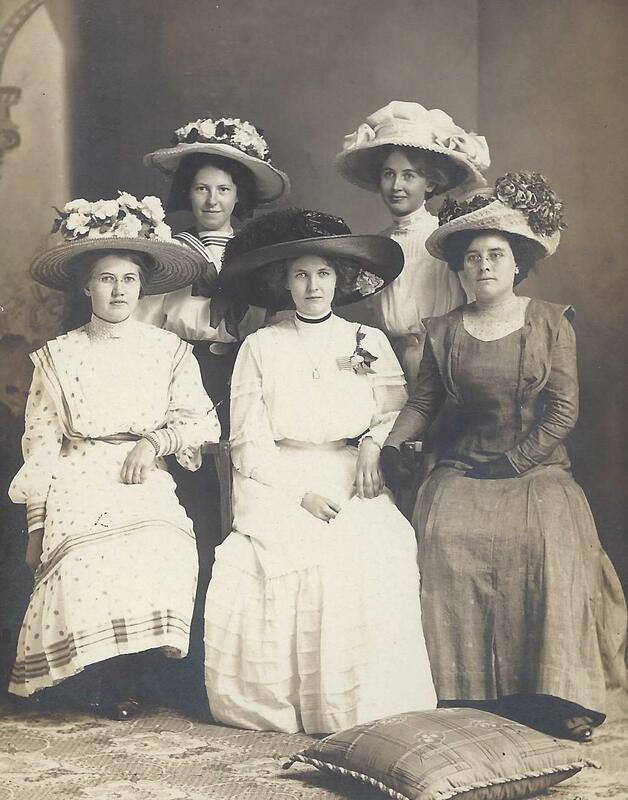 The year 1907 saw the beginning of the Portland Rose Festival, with hedges and home gardens providing millions of roses for floats, women's hats, and anything else that roses could adorn. 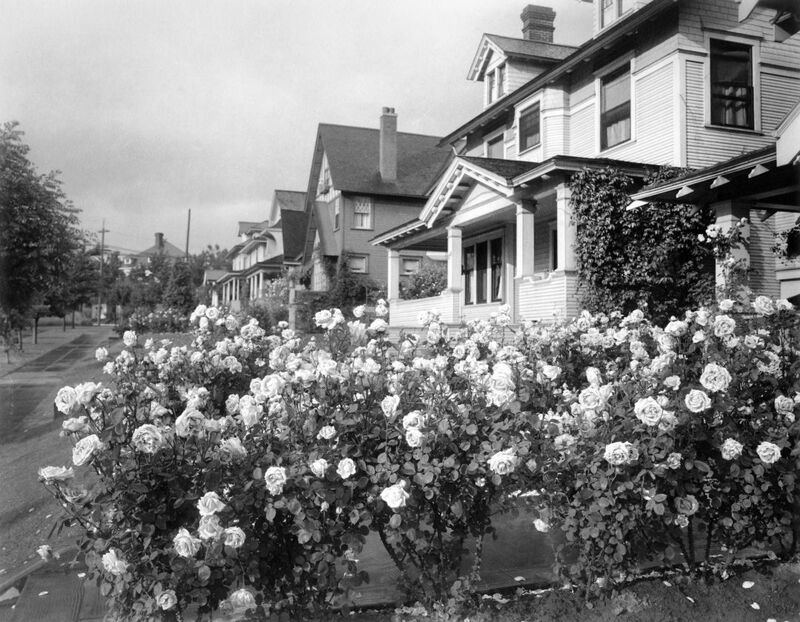 A few years later, Portland was home to 200 miles of rose hedges lining curbs – an estimated one quarter of the city’s streets. 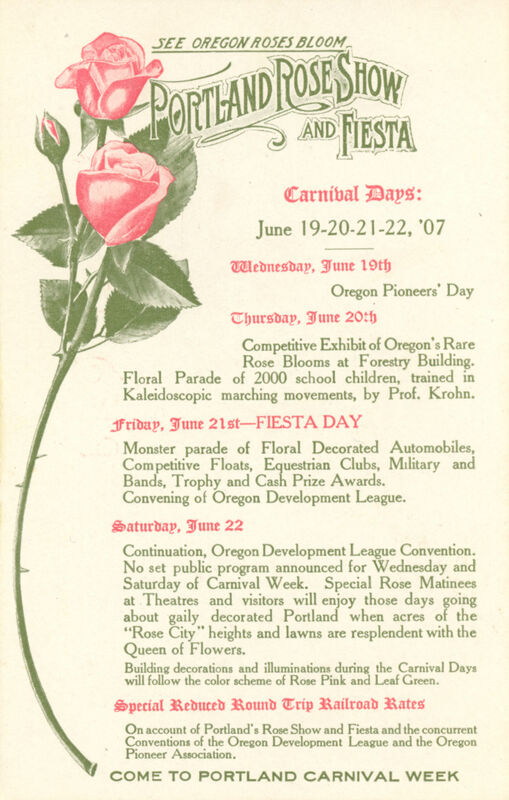 Rose fervor was dying down by the 1920s, but dedicated citizens issued passionate pleas to keep the streets lined with roses and to keep Portland the Rose City. However, it wasn’t until 2003 that Portland officially adopted the “City of Roses” as its nickname. 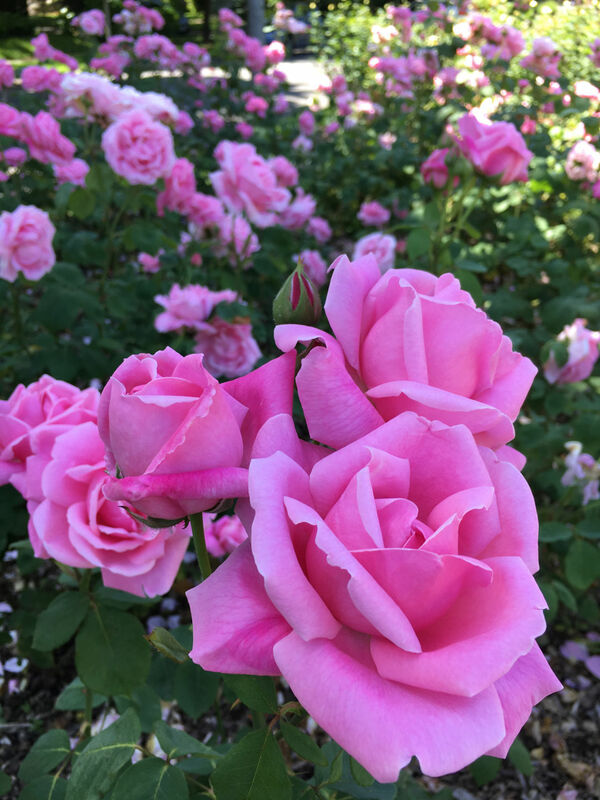 Rose historian and exhibit curator Laura King urges visitors to help keep Portland the Rose City by attending Rose Festival events and by planting roses in home gardens. Madame Caroline Testout: The Rose that Made Portland Famous is on view at the Oregon Historical Society (1200 SW Park Avenue, Portland) through June 17. The museum is open seven days a week, Monday – Saturday from 10am – 5pm and Sunday from 12pm – 5pm. General admission is $10 and admission is always free for OHS members and Multnomah County residents.